Do you know someone with high blood pressure? 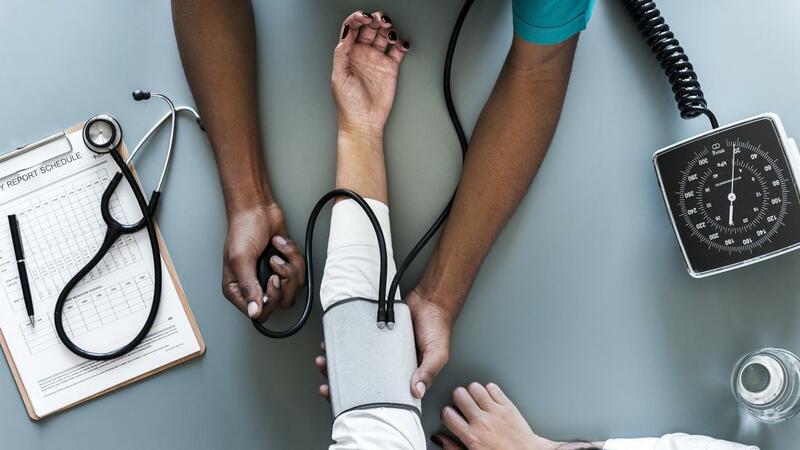 Researchers at Southern Illinois University Medicine are conducting a clinical trial to test the effectiveness of a new medication to treat high blood pressure, or hypertension. The NEW HOPE study is enrolling participants now. To be included in the study, you must have high blood pressure and be at least 18 years old. The study will include free medical exams and periodic in-clinic assessments over a 10-week period. John M. Flack, MD, MPH, professor and chair of SIU’s Department of Internal Medicine and president of the American Society of Hypertension Specialist Board, will lead the SIU research team. Based on the new hypertension guidelines, 103 million adults in the U.S. have high blood pressure, with 82 million qualifying for drug therapy to lower their blood pressure to less than 130/80. According to the Centers for Disease Control, only about half (54%) of them have their condition under control. Blood pressure levels vary by race and ethnicity. African Americans develop high blood pressure that is more severe, occurs more often and at an earlier age than in whites and Hispanics. More black women than men have high blood pressure. First heart attack: About 7 of every 10 people having their first heart attack have high blood pressure. Chronic heart failure: About 7 of every 10 people with long-lasting heart problems have high blood pressure. Kidney disease/failure is also a major risk factor for high blood pressure. Effective, sustained control of blood pressure lowers the risk for these conditions. SIU research teams take part in ongoing, national clinical testing of drugs to treat hypertension and other illnesses to improve individuals’ ability to function or improve their quality of life. To learn more about participating in this study, contact Laura Glossop at lglossop74@siumed.edu or 217-545-7616.